Established in 2009 in Mackay, Queensland, Australia, iOrthotics develops custom-made orthotic devices for podiatrists. 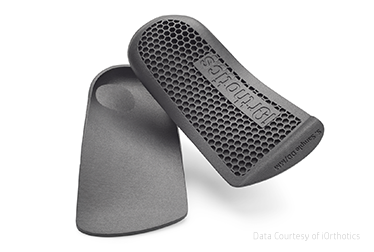 The company has embraced digital manufacturing processes and uses their capabilities to create orthotic solutions that offer unique advantages for podiatry clinics and their customers. “As a rapidly growing business, we needed to innovate our manufacturing process to keep up with demand,” says Hartley. It was impractical to continue using subtractive milling, which could produce just 30 plastic devices per day. Download the case study to learn how iOrthotics used 3D scanning–removing the need for a plaster of Paris mold–and how HP Multi Jet Fusion technology helped them meet their needs for strength, durability, and speed in their production of orthotics.